Good day guys 👏😍 , having talked about a particular spy app which is the secret video recorder app it's my pleasure to bring to you today the full list of not only spy recording app but also the Best Spy Apps for Android. Android app developers are making lif easier for it users thereby increasing it growth. They continuously create easy-to-use softwares without you spending much before you can get them. Spy apps for android can be used for backup purpose : we can with easy backup our phone data like call logs, contacts, messages etc on our registered email. Install these app to target phone and spy their messages. For security purpose : to keep track of our friends, relative, employees and so on. 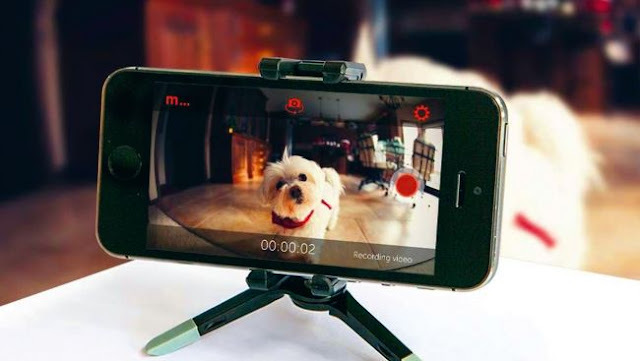 To easily take photos and record videos without being noticed : no camera preview, no sound. I will being giving you ten(10) trusted spy apps that can be used on Android devices for different security and tracking functions. The download link will be attached below each app mentioned, and you'll be led to playStore for safe downloads. This app record videos without any preview or sound. It also has an option for SMS recording, schedule recording etc. One special feature of this app is that it doesn't stop recording during calls. 2. Spy Message : It enable us to send a message to anyone and set a timer to delete our messages automatically without leaving a trace. We can also set our friend list and easily customize it later with whom we want to share secret messages. 3. 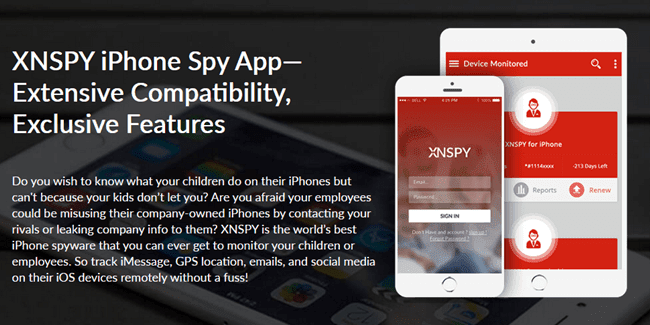 XnSpy : This XnSpy app is without doubt on of the top spy Android app because it consist of both basic and advanced spying features. It help you to monitor text messages, call logs, instant messenger chats, email, internet activities, track location, control the phone remotely, record calls and surroundings, take screenshots and a lot more. This software is lightweighted. 4. MOBILESPY Mobile Tracker : From the name you should know that its a tracking app. It's a GPS kids tracking app, can be use for anti theft, GPS locator and so on. You can easily listen the phone calls, view phone contacts, apps uses and photo taken. You'll enjoy it!. 5. Spy Camera : it can capture and record videos without sounds nor preview. It has an awesome settings that we can activate for it to capture or record a video after detecting smiling face and also, choose camera front or back. We can also capture remotely videos from our mobile with a secret message. 6. EarSpy Super Hearing : this is simply a detective app. You listen the talks of other people using this app. We can use a Bluetooth headset to listen the other people talk by leaving your phone. 7. Track Anyone Location : It helps u to easily track anyone's location. To be able to track anyone's location, the person's also will have to download and install the app in his or Android phone. 8. Text Monitor : text monitor helps to backup our phone messages, call logs and mms on our email. We can also read our phone messages and read call logs when our phone is not present with us. We can easily spy the target phone just by installing this app on the target phone. 9. Spy My Phone : Spy my phone an highly rated andriod app with cool graphics. With this app, you can easily backup our call logs, Contacts, sms, notes and location with this app and export them to our email address. We can easily hide the application with a single click and get back by dialing only #000777. We can also convert our call logs, contacts, messages into excel file. Isn't that awesome?. Finally, hide calls automatically is also an easy to use app that has a good graphics design. It helps to hide calls from others. You have the ability to add to your contact list whose call record you want to delete. I want to sound a warning to us that these apps listed should be used for legal purposes only please, and at your risk. Don't use it to cause any harm or cause any problem. Thanks!!!. Don't forget to share 👥 this post if it's helpful to you and drop your comments 💬 below. Oppo F5 Youth With 16mp Front Camera Launched.